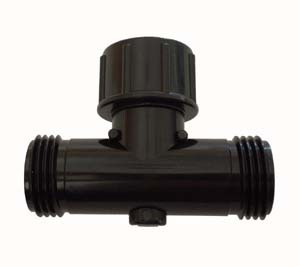 Female Hose Thread x Male Hose Thread Tee. Use on the end of a faucet as you would a hose wye. Made of Plastic. 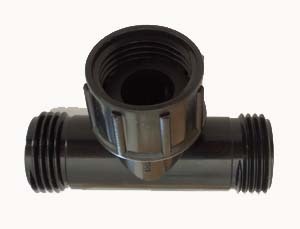 Female Hose Thread x Male Hose Thread Tee. Use on the end of a faucet as you would a hose wye. Female swivel makes it easy to take on and off. Made of plastic.